Looking to buy Princeware Victoria Plastic Pet Fridge Bottle Set? 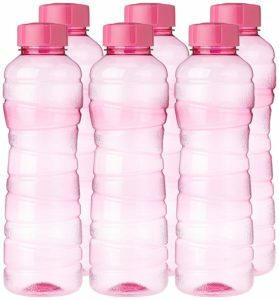 Amazon is selling Princeware Victoria Plastic Pet Fridge Bottle Set, 975ml, Set of 6, Blue at Rs 80. So, Hurry up!! How to Buy Princeware Victoria Plastic Pet Fridge Bottle Set, 975ml, Set of 6, Blue at Rs 80?